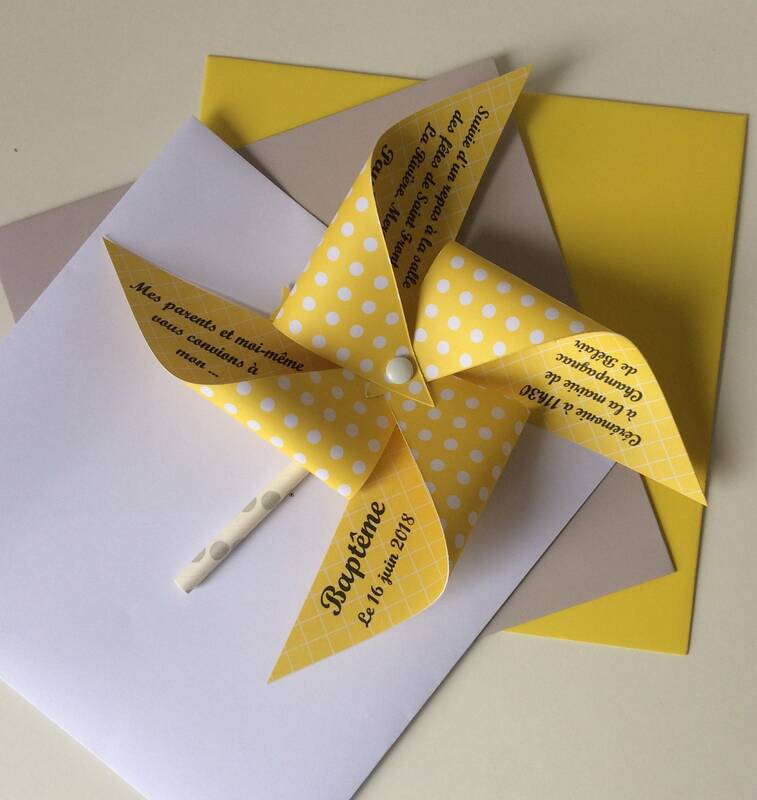 Share yellow and white embellished with white polka dots. 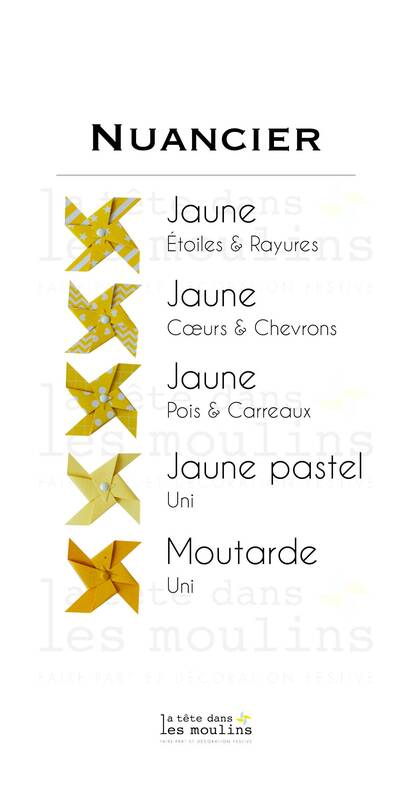 Also available with other motives (like white stars for example, refer to photo and drop down menu). 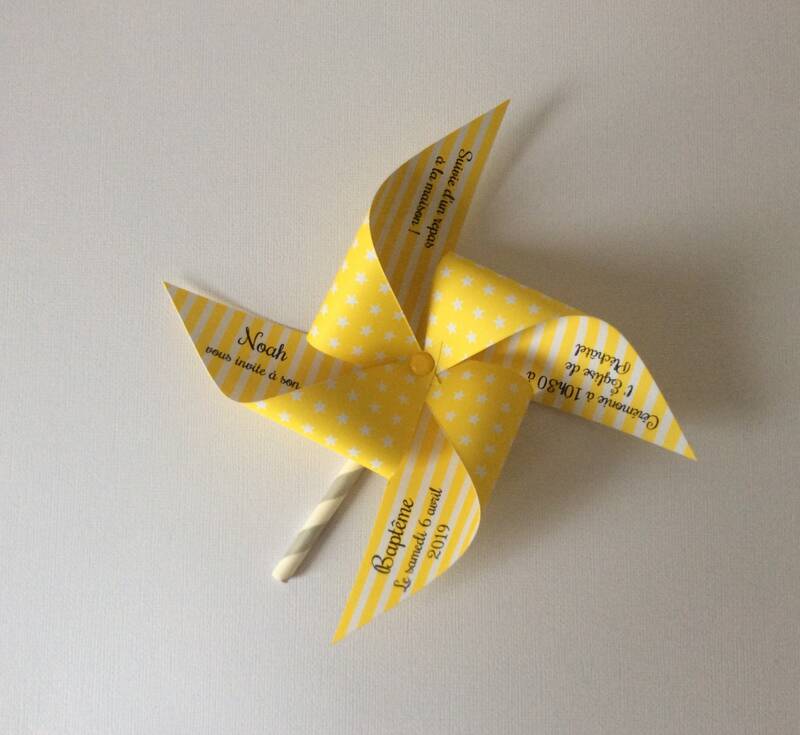 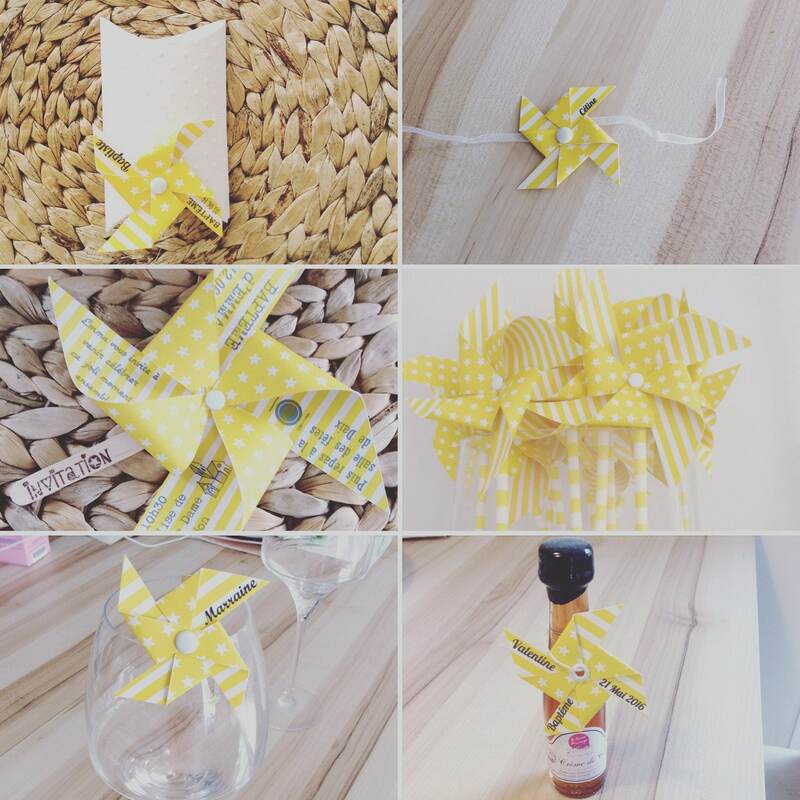 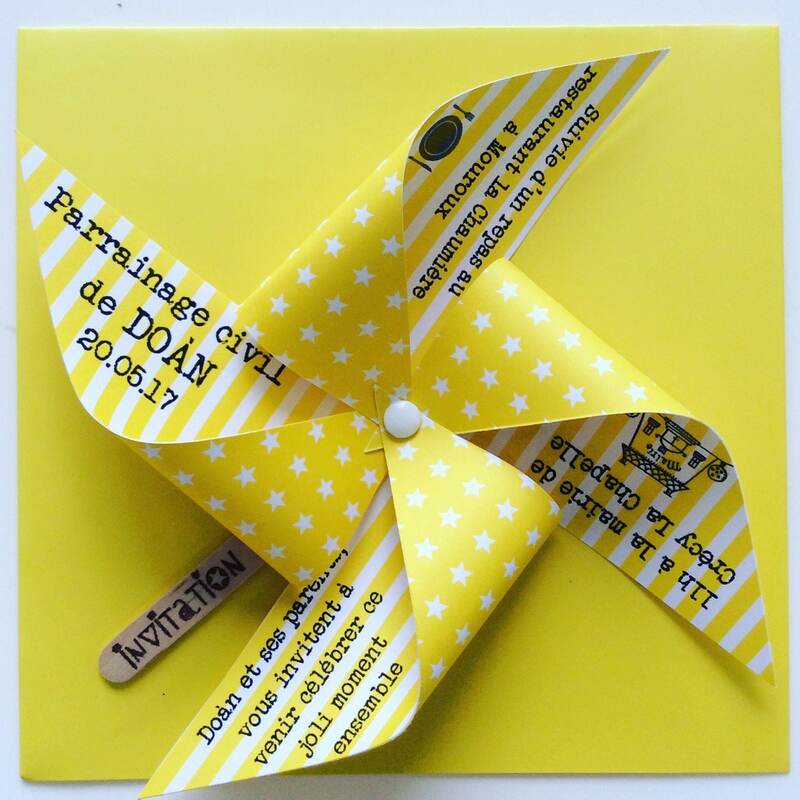 All decorated with your choice: with a lovely wooden stick with a stamp "invitation" or a straw yellow & white or silver & white.